« My Workcycles Bafkiets cargo bike was stolen – AND RETURNED! 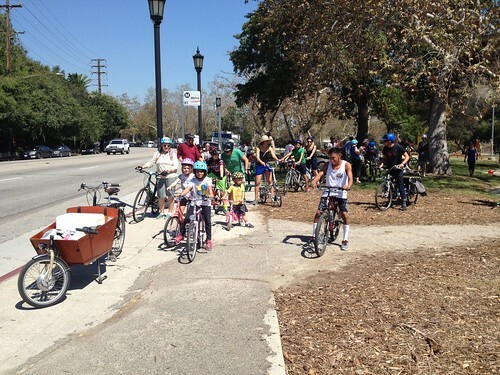 Kids, bikes, scooters, hand wagons, skateboards; meet us at Sycamore Grove Park at 12:30 p.m. We’re going to play on the playground, eat snacks, dance, play, have a rolling wheel rally and bash open a pinata in a celebration of family, community, bikes, and each other. Meet near the bandshell in the park. No reservations required, nor sign up sheets, nor waivers, nor fees. Bring something to eat (and share! ), a picnic blanket to sit on, etc.